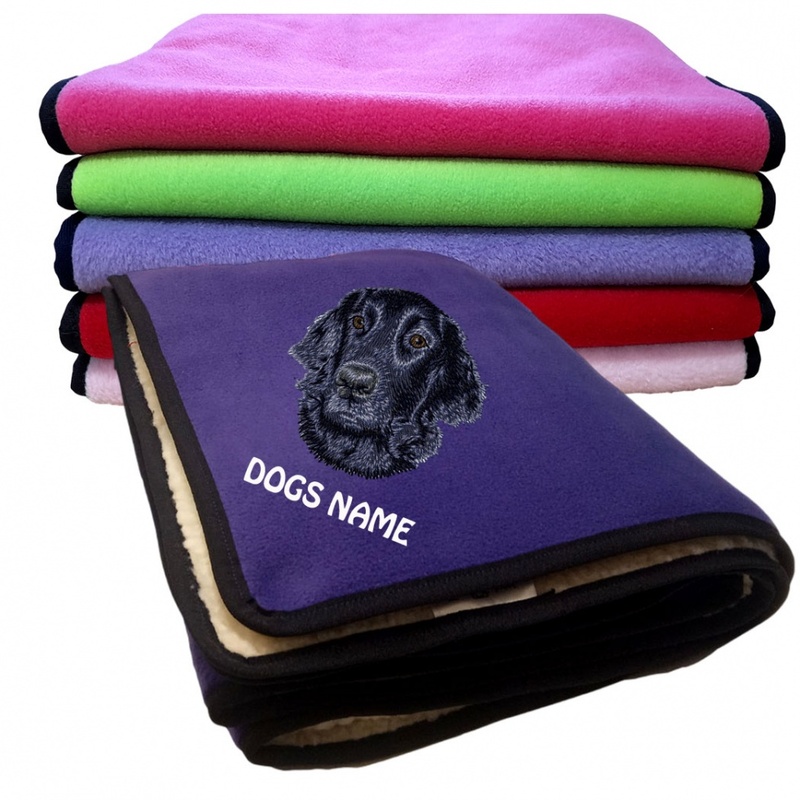 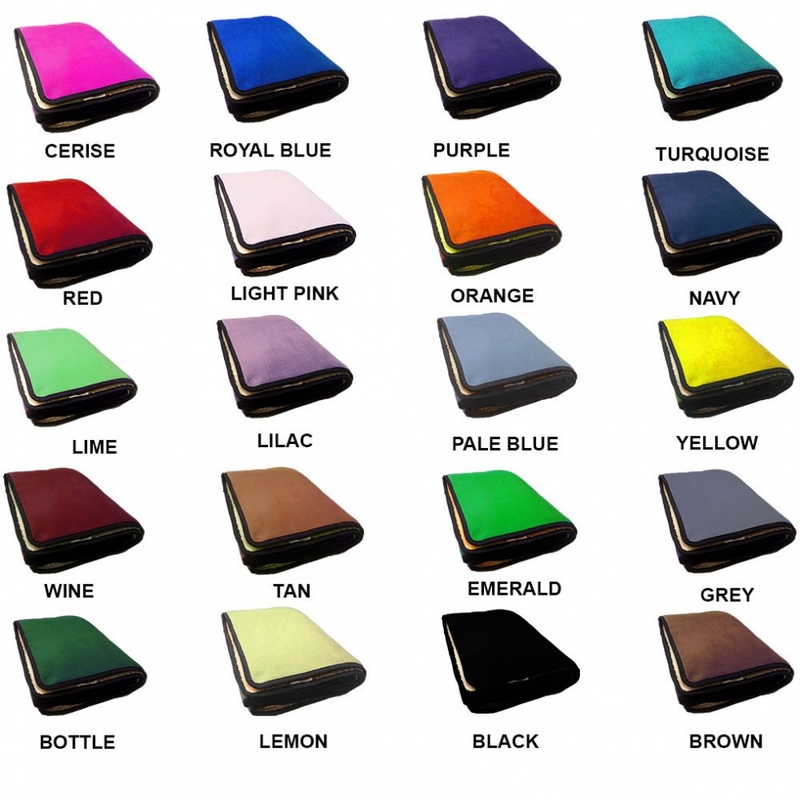 We have a fantastic range of personalised fleece dog blankets for your Flat Coated Retriever. 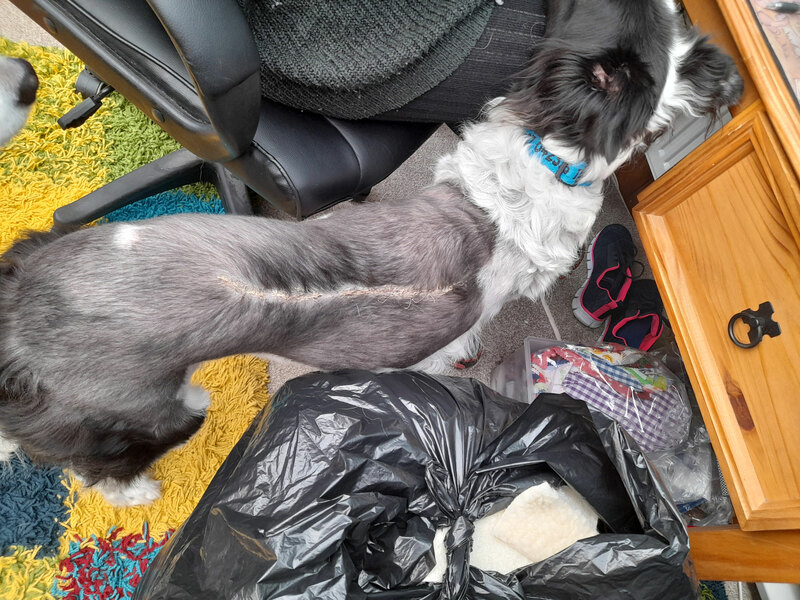 Not one but two layers of soft and cosy fleece. 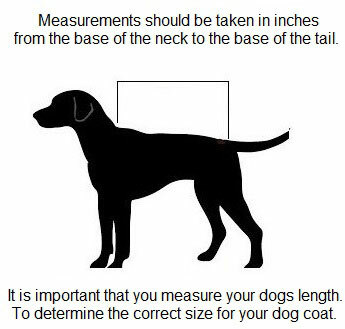 The reverse side of your Flat Coated Retriever fleece dog blanket will be in a thick cream sherpa fleece fabric. 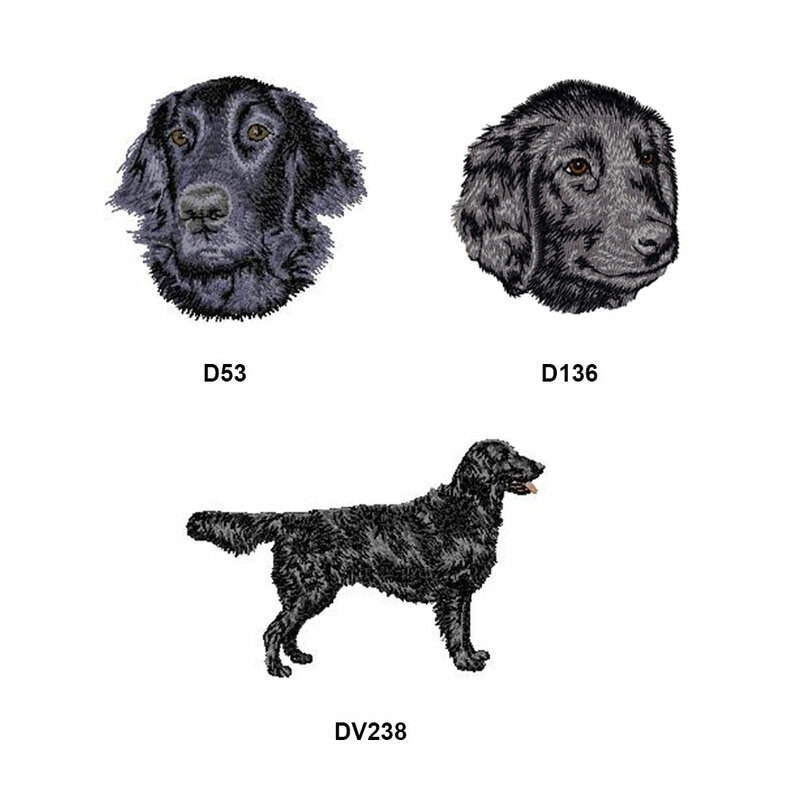 Our Flat Coated Retriever fleece dog blankets, are soft and cosy dog blankets and are a versatile form of dog bedding which will keep any dog happy.